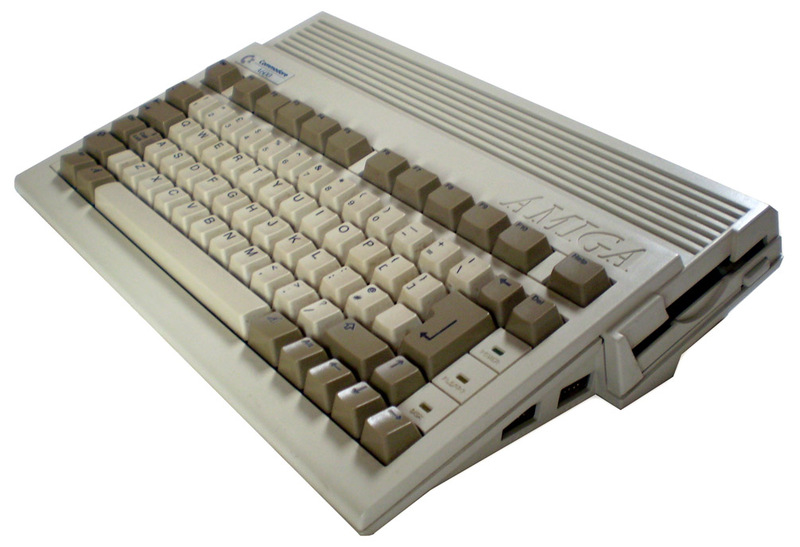 The Amiga 600 was announced in 1991 as a replacement for the Amiga 500 Plus and became available to purchase on the 18th of March, 1992, but was widely considered at the time to not be a worthwhile purchase over an Amiga 500 or 500 Plus. 8375 chip is the Super Agnus chip. 391077-01 is the Paula chip. 391081-01 is the Super Denise chip. 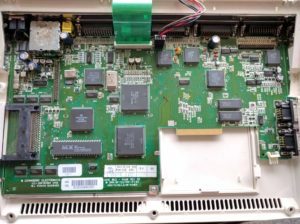 The original plan for the Amiga 600 was to call it the Amiga 300, and sell it as the most inexpensive model in the range. This is the main reason it’s so small and lacks the numeric keypad as found on every other Amiga models keyboard. The main board has most of the chips soldered on, rather than socketed, in a move to reduce costs while also increasing reliability. Apparently people within Commodores marketing department decided that features had to be added to the machine to make it a marketable item, and so the 44-pin IDE hard disk interface and PCMCIA slot were added, adding to the costs and pushing the cost to the consumer to above the cost of the machine it was intended to replace, while not offering enough for most to consider it a compelling upgrade – particularly in light of the reduced expandability that was a direct result of the intention for the machine to be the most inexpensive Amiga. 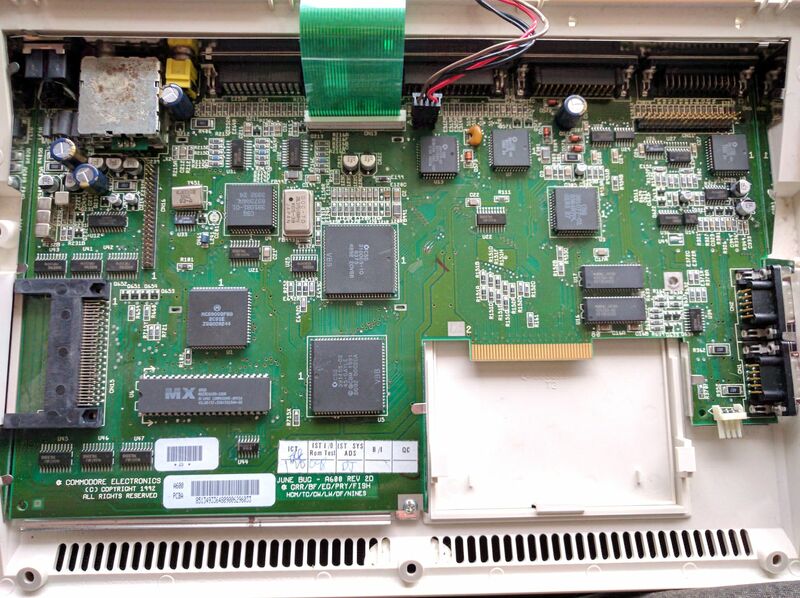 While the Amiga 500 and 500 plus offered both RAM expansion and a general-purpose expansion, the Amiga 600 only offered a RAM expansion option and a PCMCIA slot. Despite this, the Amiga 600 has gained some popularity in recent years, as it’s compact size and in-built Hard disk interface, along with the PCMCIA expansion, make it fairly easy to transfer data to it from modern machines without needing to purchase much, and the availability of expansions that provide a faster CPU, more FAST RAM, an interface for modern displays, and even the Vampire II 600, which transforms the smallest Amiga ever into one much faster than even an Amiga with a 68060.